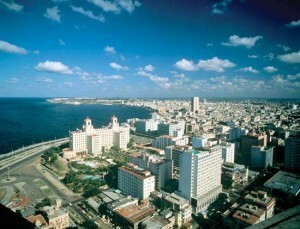 HAVANA, Cuba - The interest shown by foreign investors in the Cuban special development zone in Mariel Harbour has confirmed the expectations raised by the new foreign investment law recently adopted by the Cuban Parliament. Officials with the foreign trade and investment ministry told reporters that, since the law was approved, they have received proposals from new investors, whose applications will be processed in accordance with the portfolio of projects prioritized by the country. Taken into consideration is the amount of the investment, the operational period, the origin of investment capital and its pay off, with no distinction for Cubans living abroad, PL news agency reported. The hiring of labour will be carried out through employment agencies, which protect the rights of workers and provide highly skilled labour. Any Cuban worker or foreign resident can be selected in line with the requirements of the job, and according to legislation in terms of labour hiring. Labour and social security deputy minister Zamira Marin said that the salary will be paid in Cuban pesos on the basis of the current monetary program to strengthen the value of the Cuban national currency. The Cuban foreign investment law was adopted on March 29 by the Cuban Parliament and will come into force on June 28.